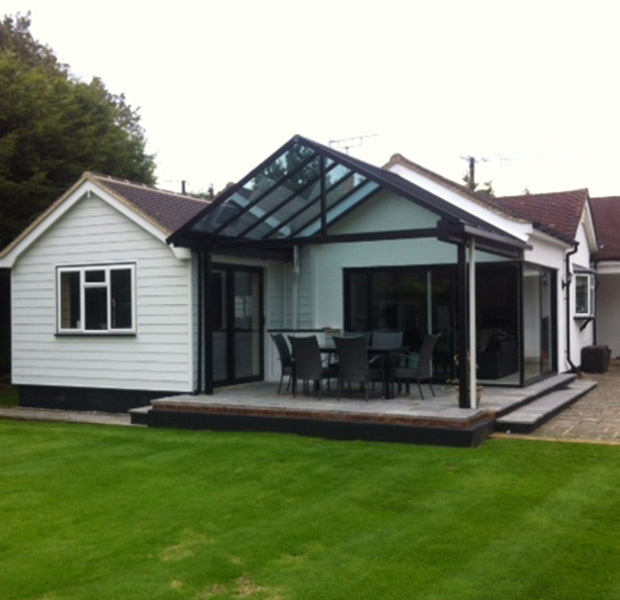 Set in a quiet secluded rural location the owners of this property were looking to optimise their existing living space whilst at the same time creating a lighter and more contemporary environment equally conducive with a relaxing family Sunday or entertaining friends. 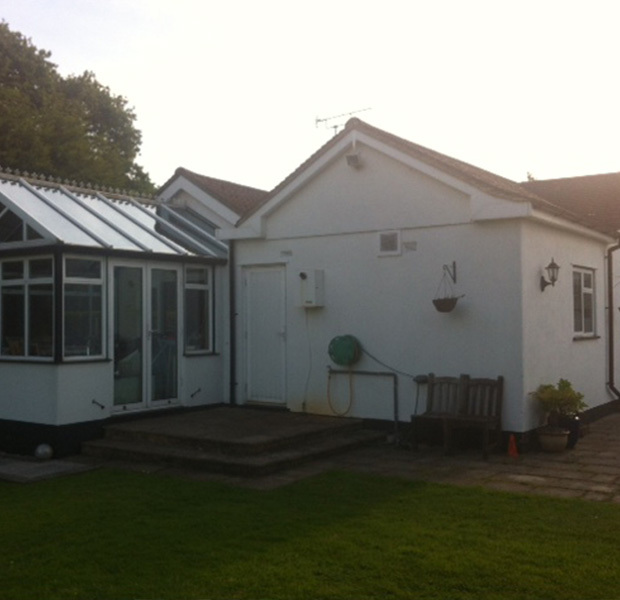 Shows the original conservatory and adjacent flank walls to the main building. 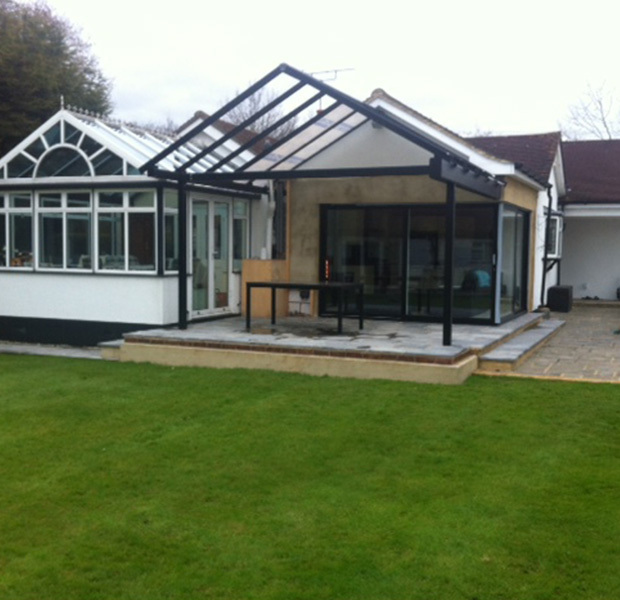 Shows the finished project. 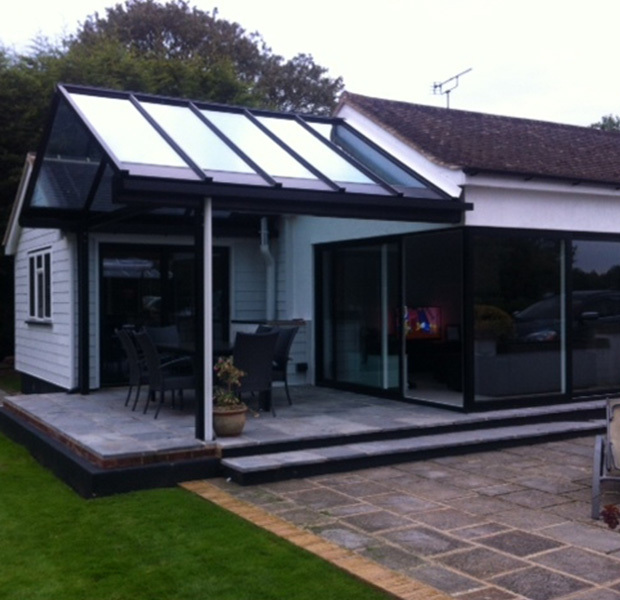 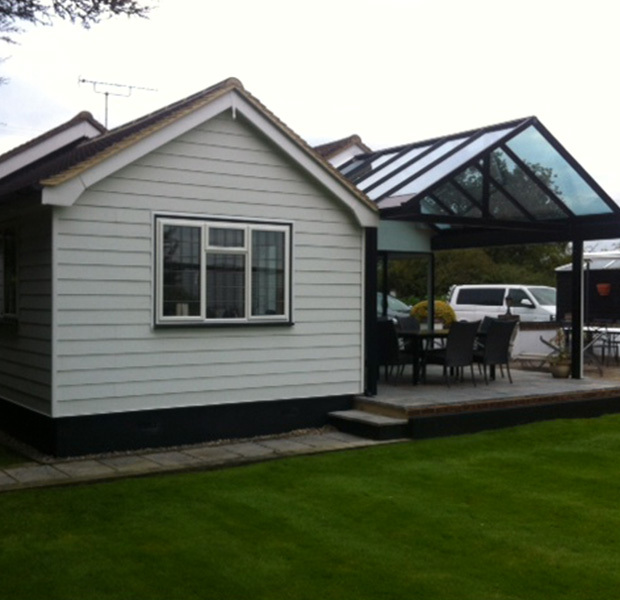 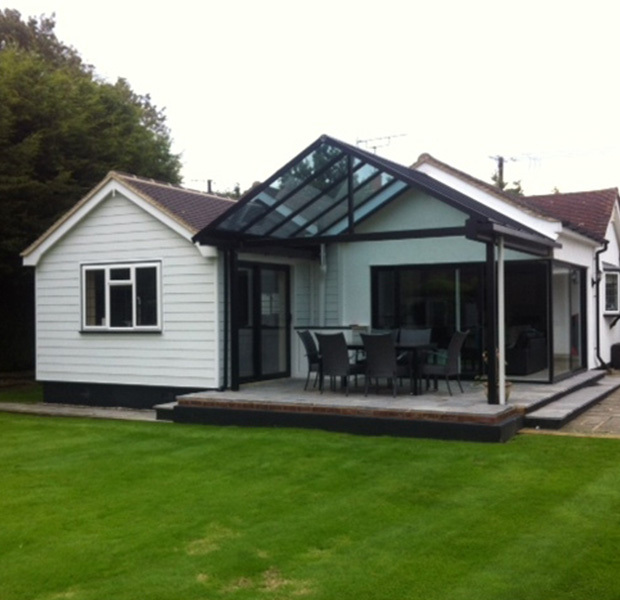 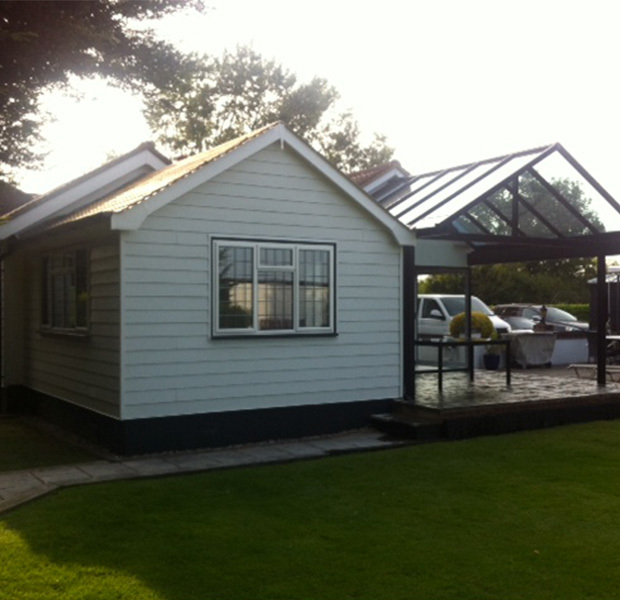 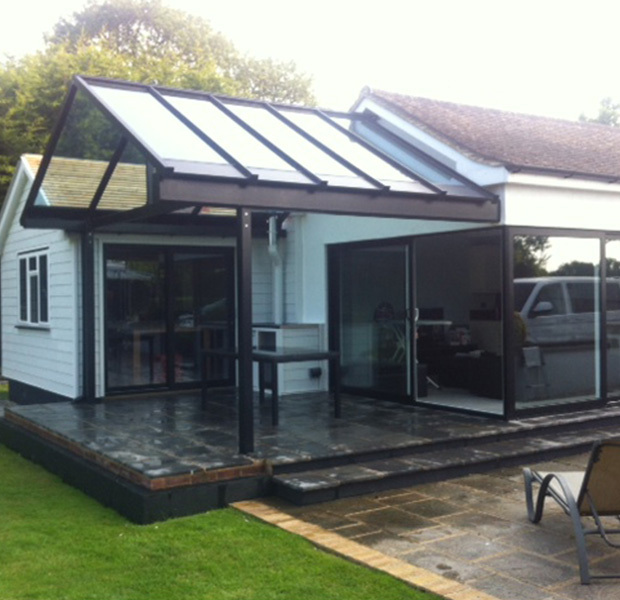 The original conservatory has been converted to incorporate timber clad walls, a tiled roof, and powdercoated aluminium windows and sliding doors. 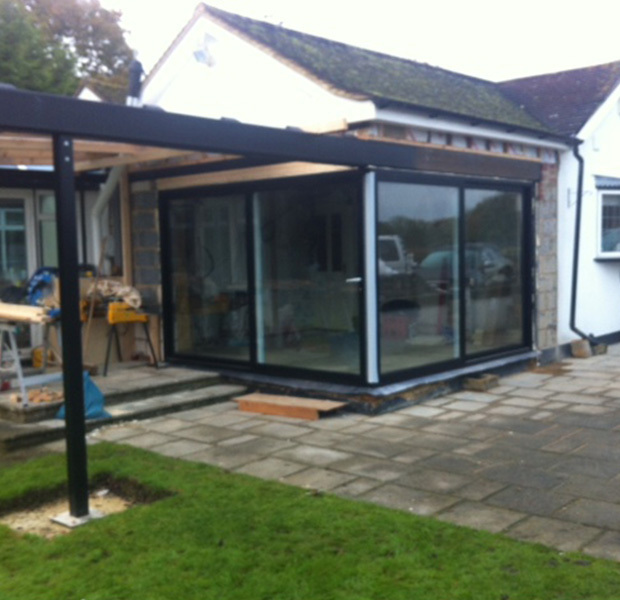 The adjacent room has been converted to incorporate one four pane set of 90˚ sliding powdercoated aluminium doors, an external glazed canopy and landscaped patio area. 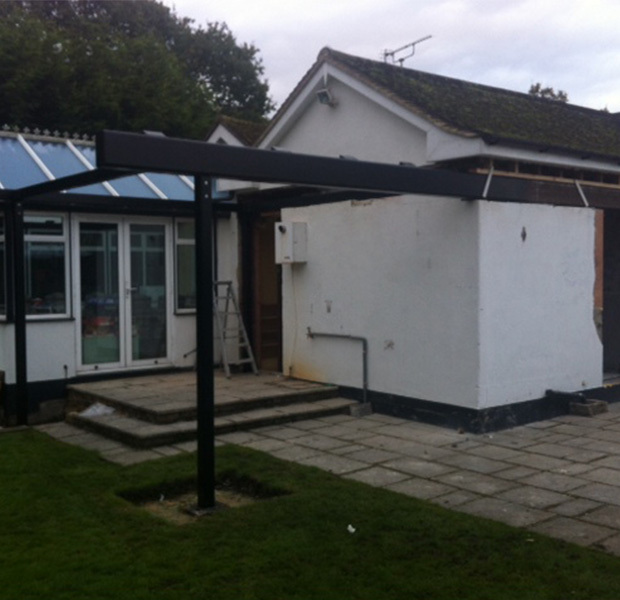 Steel work is added to the original structure. 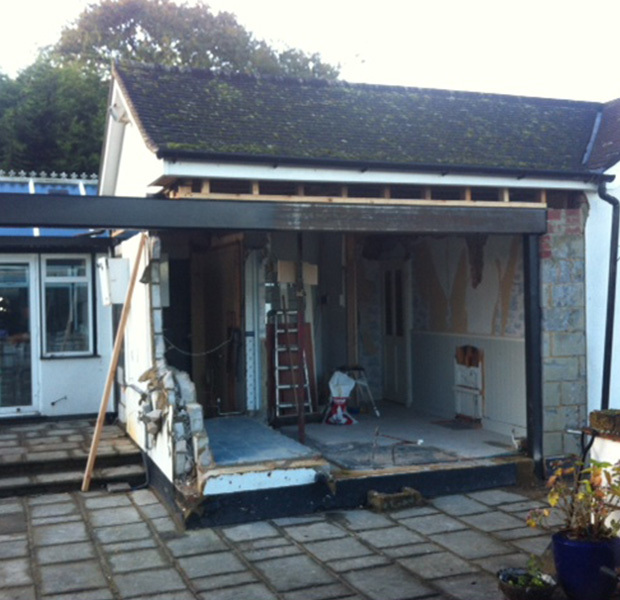 Corresponding flank walls are removed and amended. 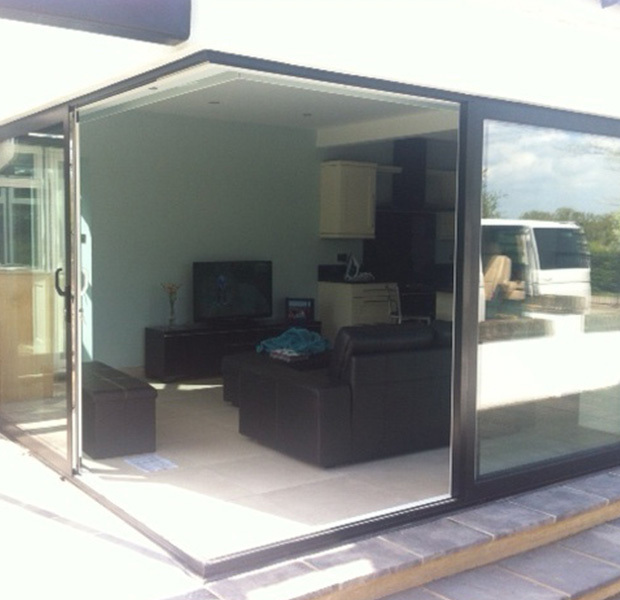 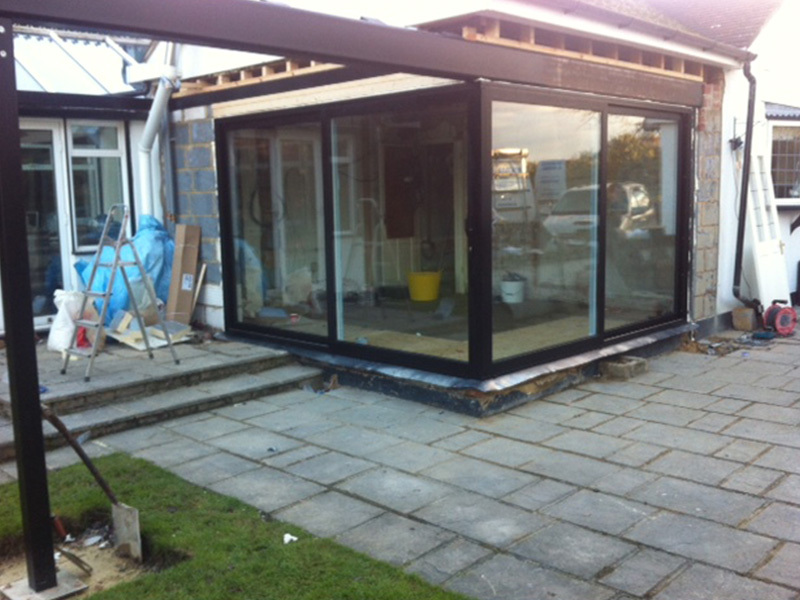 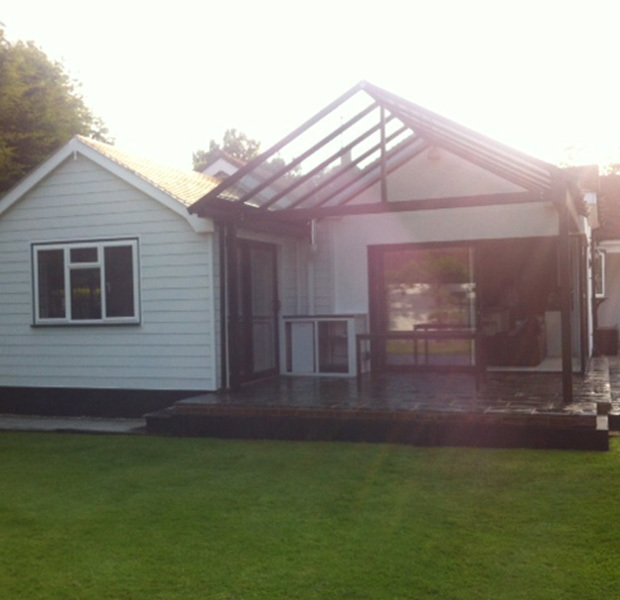 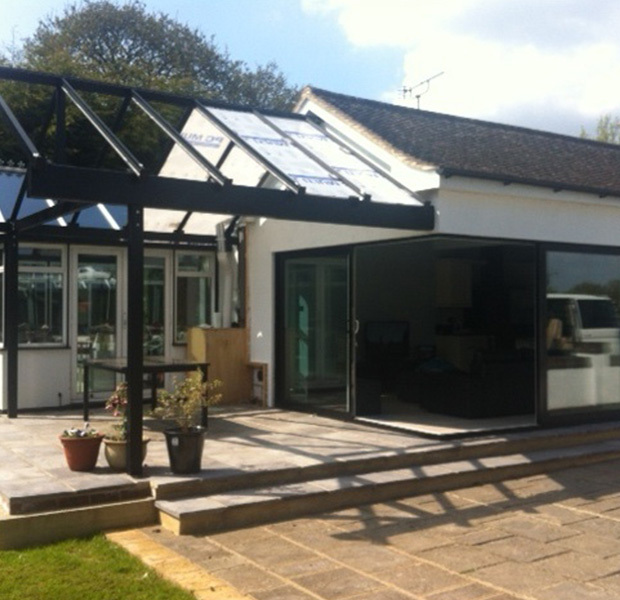 90˚ four pane set of sliding folding powdercoated aluminium doors are installed into the prepared opening. 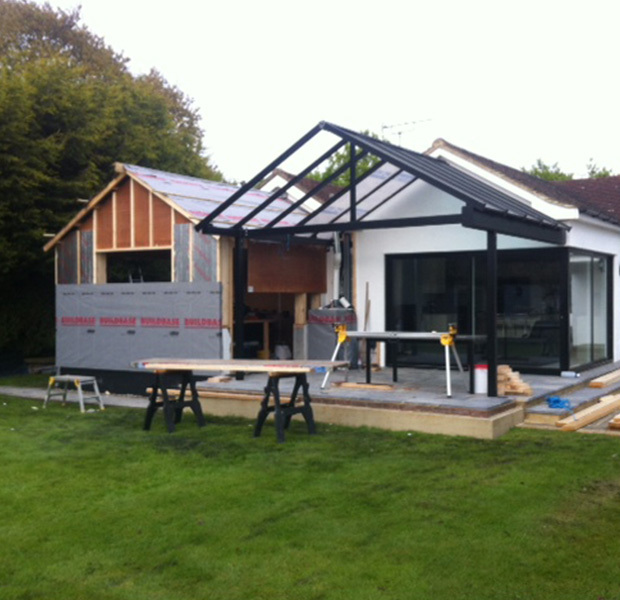 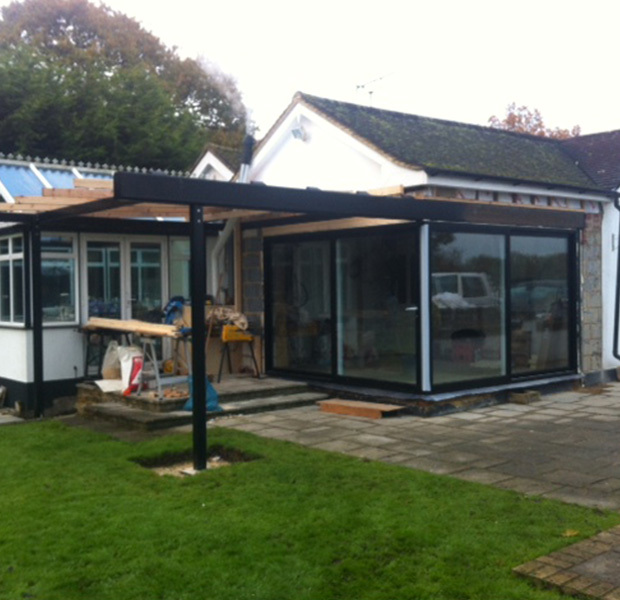 External glazed canopy is erected onto steel work. 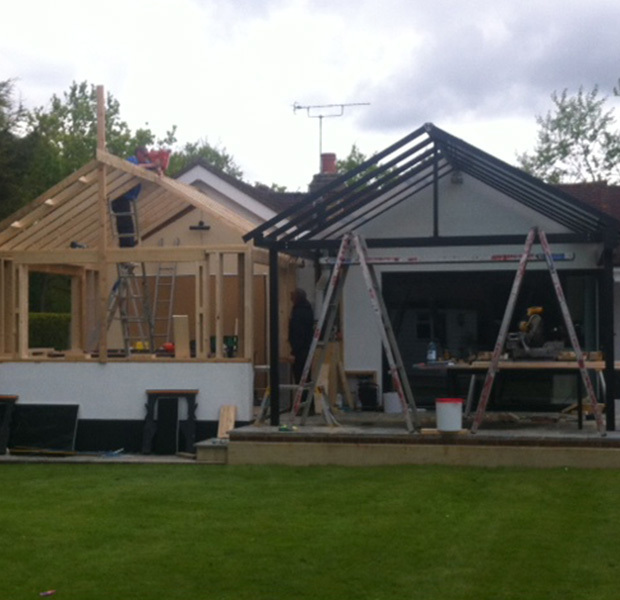 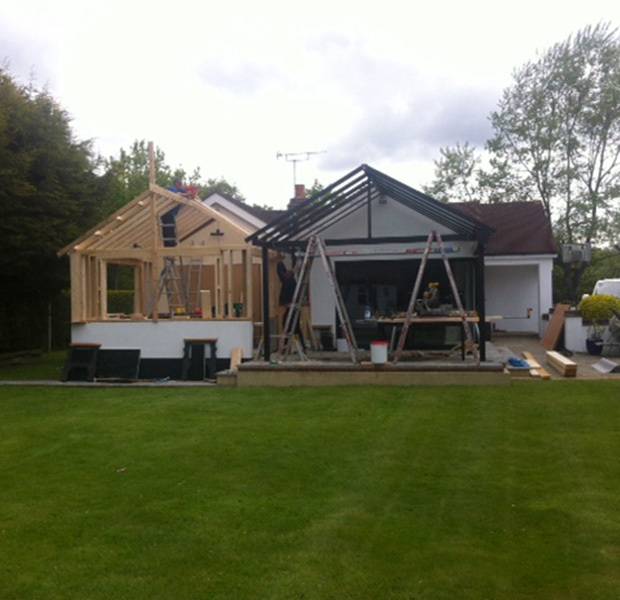 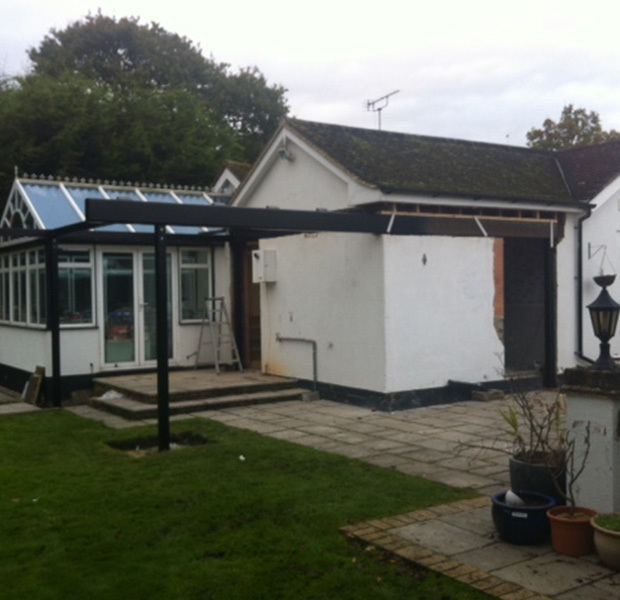 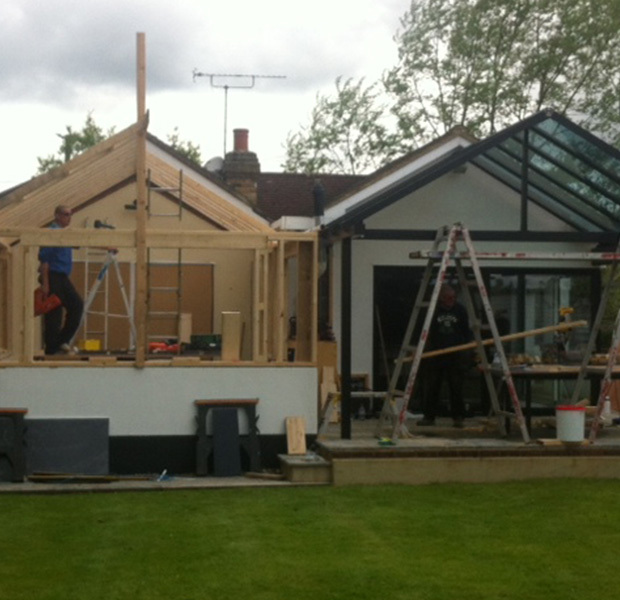 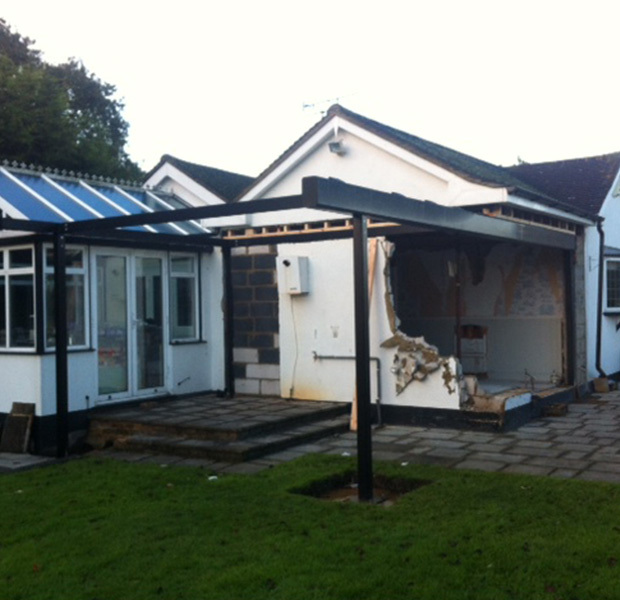 Existing conservatory windows and roof have been removed and the structure altered to accommodate timber clad walls and a tiled roof.